I'd better post my July recap as August is coming to an end! 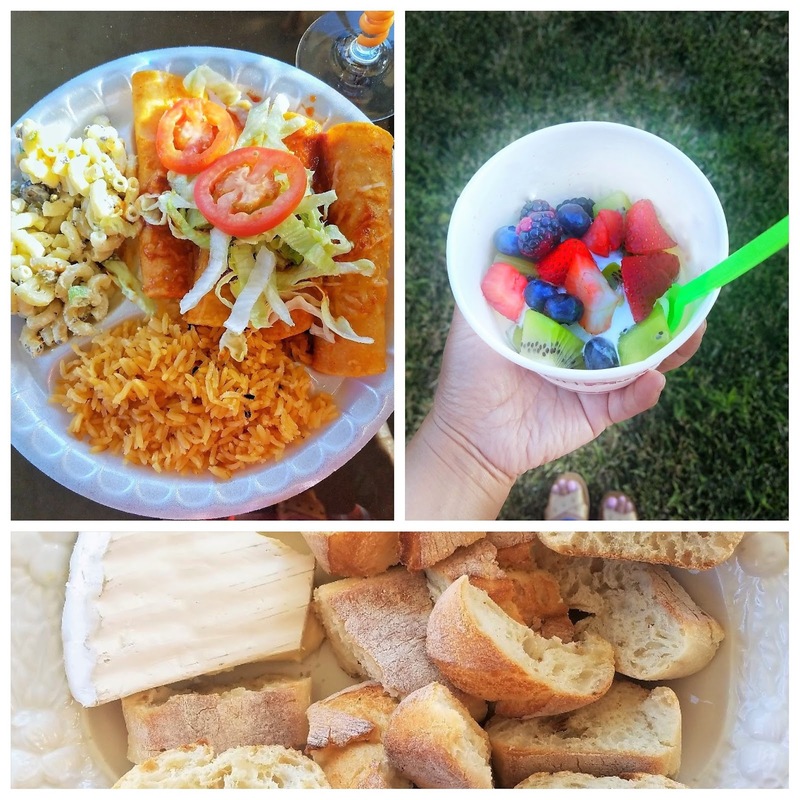 July was such a delicious holiday month! There were lots of eating involved -- with the family, during date nights and with girlfriends. 1. July 4th Weekend: Mr Sweetie and I spent the Saturday before the 4th of July holiday at his parents' house. Mom-in-law fed us delicious Mexican food as always. We had enchiladas and macaroni salad. She and I noshed on the brie and bread plate that I made while we enjoyed glasses of chardonnay in their relaxing backyard. Such a lovely and relaxing warm summer afternoon! 2. 4th of July Holiday: Mr Sweetie and I had a quiet (before the fireworks!) and relaxing 4th of July celebration. I cooked the "perfect" pork ribs here. 3. BFF's Birthday Celebration: A beautiful afternoon of friendship where we celebrated BFF's birthday over yummy plates of appetizers and drinks at Delarosa ni SF. I wrote about our birthday tradition here. 1. A loud date night at a country bar at Overland Country Bar and Grill at Jack London Square. It was a fun evening with cowboys/girls but super-loud! And the food (tacos, nachos) were meh. 2. I cannot remember exactly why but instead of going out we just ordered BBQ delivery. The bbq from Smokey J's from Berkeley was actually good. It is always fun to stay in with Mr Sweetie and be lazy together. 3. 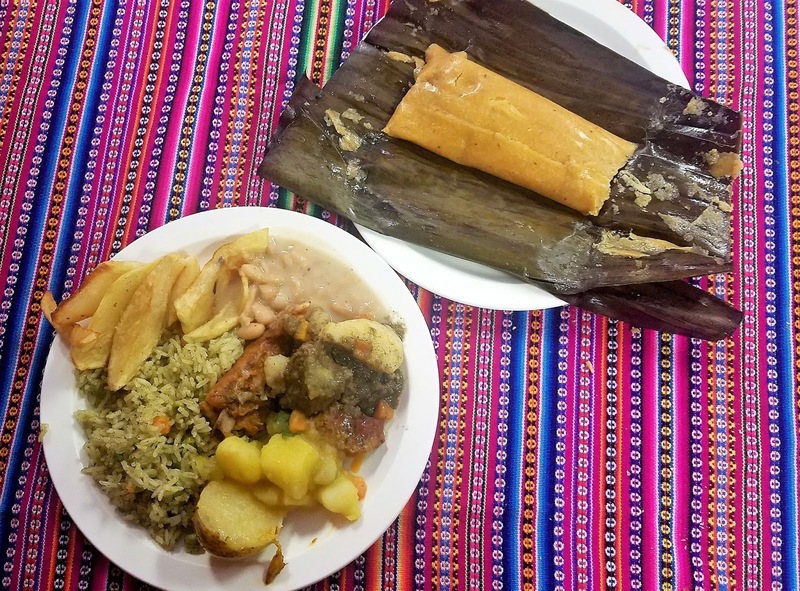 Peruvian home cook discovery at Lunahuana Peruvian Buffet in Pittsburg, CA. It is a hole-in-a-wall and totally random find. Mr Sweetie and I met up for a quick secret meeting with his mom to plan his dad's surprise birthday party. Afterwards we just drove around and found this mom and pop place that serves delicious Peruvian food. Up until this time, I have only had fancy Peruvian dinners in San Francisco. This is the real deal! 4. 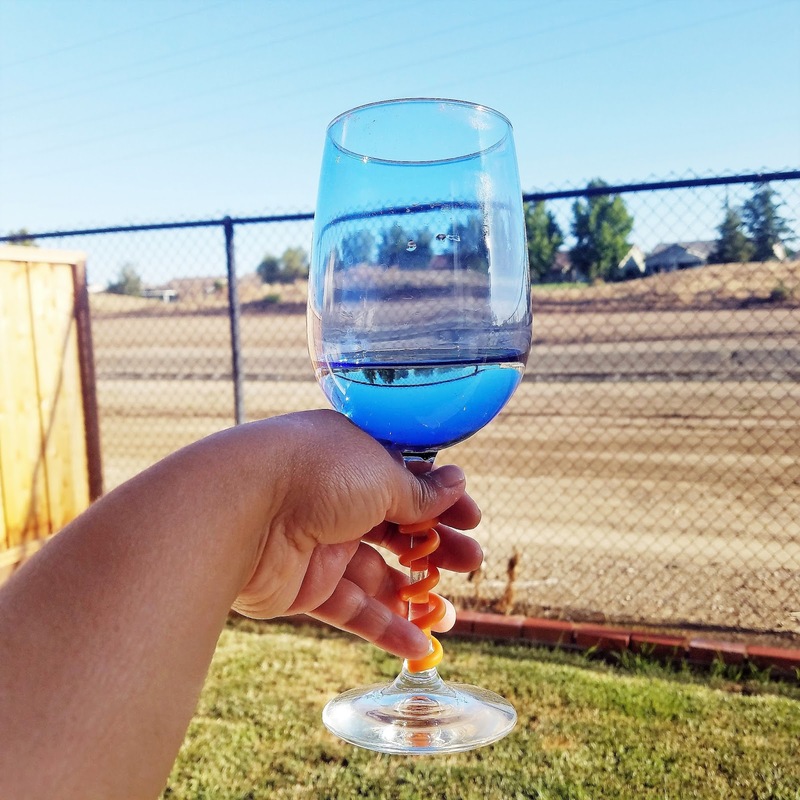 And I did a show and tell about our Magical Sushi Date Night here on this post. This is a special one with one of my dearest girls. It has been a while since we saw each. She generously treated me to a beautiful dinner at Cafe Bistro where we had an lovely view of Downtown SF's Union Square. 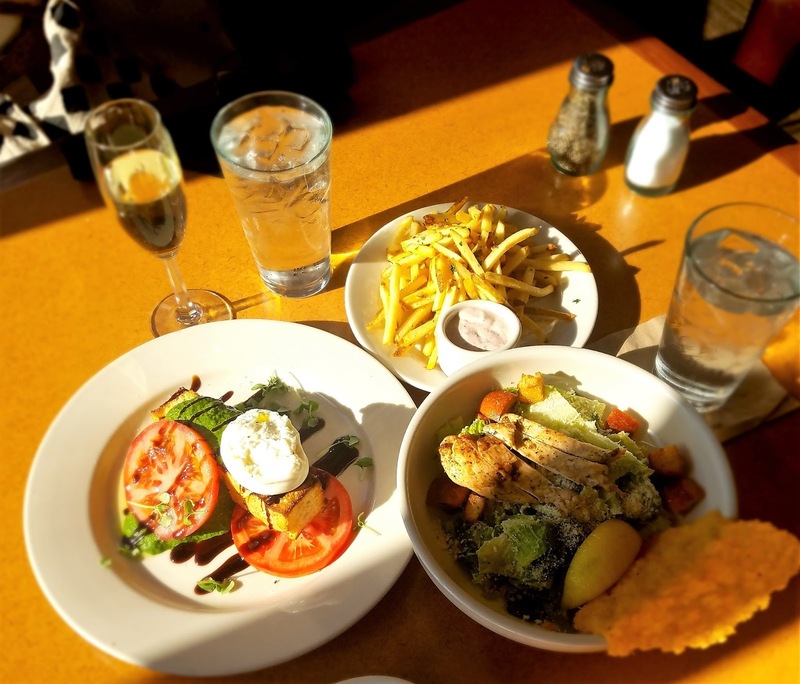 We shared a chicken caesar salad with parmesan crisp, fries and bruschetta with burrata cheese and washed them down with bubbly and cocktails. I love this girl and she is like a sister to me. My month is not complete if I do not get to eat a meal with my family. As always after church, I had lunch at my sister's house and got to play with my baby nephew and tween nephew. And as always I was spoiled with delish Filipino food cooked by my brother in law. Their table is always messy because they have a toddler but their home is always full of love and abundant delicious food! 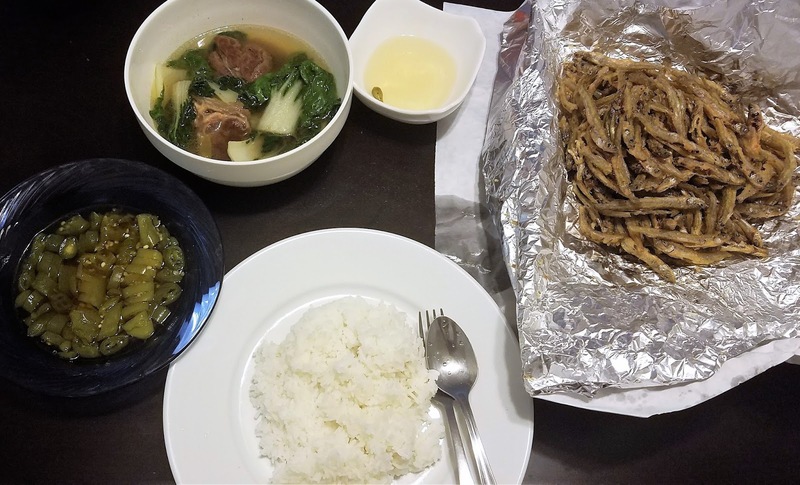 We had boiled beef soup (nilaga), fried fish and peppers in soy sauce. Needless to say, happy tummy! 1. Starbread! -- I actually scared Mr Sweetie because I screamed "STARBREAD!" when I saw the sign after we had lunch at the Peruvian restaurant. I have been wanting to try this bakery forever that sells Filipino bread called "senorita bread". It is a sweet bread that is freshly baked to order and melts in your mouth. We bought a box and it did not disappoint. 2. Beignets -- Not new eats but I have not had beignets in quite a long time (too long!) until the delicious French soul food brunch here. Harvesting tomatoes that I planted myself! New curtains. Finally bought and changed the curtains in my bedroom. Have been wanting to do this forever! Also cleaned my bedroom from top to bottom. And with this tragedy came a sweet message from God through flowers. I was exhausted physically and drained mentally and emotionally on that day. When I got home a bouquet of flowers was waiting for me on my patio. The flowers were not from Mr Sweetie and we did not know where they came from. They were probably from one of our neighbors. The flowers were in a vase that I left on the patio. I do not believe in coincidences. Flowers that were randomly waiting for me on such a difficult day? It is God’s way of telling me that He is with me to provide me with strength. Yes, He communicates to us in small things and by using people to act as angels. I am grateful for American freedom and independence even though we are currently divided because of bigotry and ignorance. I am thankful for my family who always feeds me delicious Filipino food, and for my cute nephews and niece who make my heart happy every single time I see them. And for my bf's family who feeds me delicious Mexican food. I feel blessed to have girlfriends for life who are like sisters. For Mr Sweetie and our fun date nights every single Saturday. I am very grateful for the blessings of food and safe home. And God's grace that never fails.